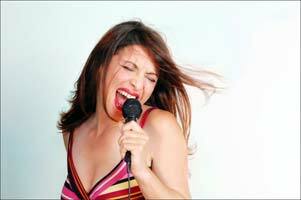 Fundraising at a karaoke night can become a regular fun-filled event – who doesn’t enjoy watching people prepared to embarrass themselves for a good cause?! 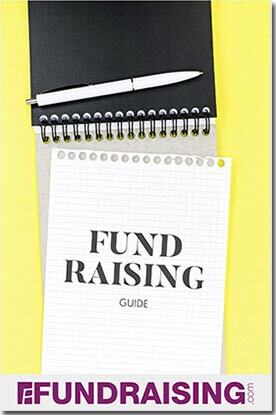 There are several ways to raise money by hosting this kind of fundraiser. The common feature to all is an appropriate venue and a karaoke machine. Although small systems are available for home use, it’s best to use a professional system, which will guarantee adequate volume and a large selection of songs, sometimes together with additional features such as the ability to record the performance and sell the CDs as extra fundraisers. It may be worth asking local karaoke jockeys whether they would donate use of their equipment and/or time to the cause, but as the fundraiser needs to be on a popular night, it’s likely that one will need to be rented. They are easy to operate, particularly if the songs are on a “jukebox”; recorded on a hard drive, rather than on separate compilation CDs. So in what ways can funds be raised at a karaoke evening? The simplest is to charge admission to the event. Depending on the venue, this admission charge may have to cover simple refreshments for the evening. If the venue sells drinks, the management may be persuaded to give a percentage of the bar receipts to supplement the income. Selling CDs has been mentioned above, but how about a donation if you want to sing? Or a donation so that you are not required to sing? Or a donation to nominate someone else to sing? Don’t forget that it could also be interesting to have a talent contest, with the winner selected on the basis of applause. At a fun occasion like this, the only limit is your imagination! We are a small organization that rescues horses and puts them to work for mentally and physically disabled children. Being a non profit organization, we rely heavily on fundraisers and donations. This idea originally came to us from an American Idol fan who thought the community would really enjoy the chance to compete in a talent showcase while helping a local non profit group. We decided that we should print up some flyer’s and run a short ad in the local paper so that people would know about the event. We contacted a local restaurant who agreed to donate a section of the restaurant and a sound system to the cause. Some of our children and their parents created table coverings that looked like horses. We placed these tables in front of the stage area. This is where we placed brochures and other information about our group. We also placed the grand prize, which was a trophy donated by a local trophy shop. Runners up won a free horseback riding lesson. The event itself was staffed by our volunteers and kids in shifts. The rules were simple. Each song cost a donation of $1 per person singing. There were lots of groups that wanted to sing together The event lasted four hours. We would try to separate each thirty minute period and choose an overall winner. At the end of the night, those who were interested in the prizes were asked to sing one more song. They were then judged by the audience and their cheering. We made a big deal out of the awards ceremony and everyone seemed to love it. Overall, we made over $1500 between simple donations and the cost of those who wanted to sing. The things that made this a success was the fact that our kids and volunteers came and enjoyed themselves. Without them, we could not have done this. The restaurant has invited this back, and we plan on making this into a biweekly event. This is a true story and a true tearjerker. I’m a mom of 2 children, my two twin daughters where born with a rare medical condition called syringomyelia. Syringomyelia is a chronic disorder that involves the spinal cord. The condition occurs when cerebrospinal fluid enters the interior of the spinal cord. This is normally found outside of the spinal cord and brain. My community helped me out with my two daugther medical bills. They had an AWESOME fundraiser for me and my family. I could not have asked for anything more after this. I didn’t help at all with the fundraiser, it was a complete surprise to me and my family. They had clowns painting face for $1.00 each. The local bakery sold 10 different pie sices for $5.00 each. They had a kid water slid for $2.00 for 1 child to ride. They had a contest who could eat the most buffalo wings in one sitting and the winner would have to pay exactly what it is that they ate. If you ate 15 buffalo wings, then you would have to give $15 for my daughters. The man who won ate a total of 74 wings. I thanked him later that evening. We had the kids sing there favorite song on a karaoke machine and whomever finished first had to pay .50 cents towards our medical bills. But everybody helped out in some way and I am forever thankful of all.